We should see a new highs later this week (target 1219-25). (The SPX mustn't drop below 1183.68). As if I haven't already posted enough different wave counts in my weekly update I recieved a fourth one which I quite like. 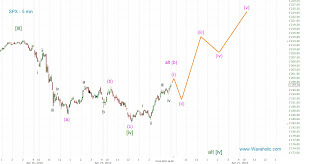 He's counting the rally from the Feb lows as a corrective wave. So, adapted to my count his green C wave would be a fifth wave in my count. This count explains all the corrective waves we had since the triangle breakout. 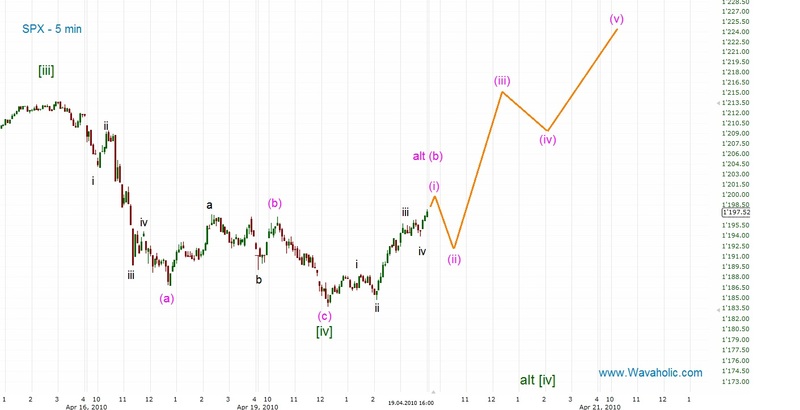 The target for this pattern is also in the 1220 area, the only difference is that we would see three waves to 1220ish instead of five.